Traders Breakdown insurance Policy at Unicom Insurance the motor trade insurance specialists for the UK. We offer specialist breakdown and recovery policies for anyone in the motor trade, covering you for a wide range of issues including home start, fuel drainage cover and assistance for up to 8 individuals. Click here to get a quote for traders breakdown recovery insurance now. The rescue policies are available to anyone who operates within the trade, including those selling new and used cars, repair services and mechanics, and valet services; we cater for both full and part time traders, so even if you work in other areas alongside your motor business you can still be covered under our terms and conditions. Unicom Insurance has over 20 years of experience in providing this type of cover, and we work with a large network of vendors to supply you with exactly the right policy to suit your requirements. Our team can provide you a policy tailored to your needs, and we offer highly respected customer service at all times. Option 3 pays for a hire car for 24 hours. This must have an engine size of no more than 1600 cc and you will be responsible for meeting any terms imposed by the hire company. You must also return the hire car and recover your repaired motor independently. In the event of a breakdown at home or within 1 mile of your home base, we offer a homestart option as follows. We will attempt a repair on site, and if we cannot achieve this within 1 hour, we will transport the vehicle, driver and up to 7 passengers to an appropriate local garage (within 15miles). You will then be responsible for the cost of repair. Unicom will also provide an emergency driver, if you are taken ill or have an injury sustained during your trip and there is nobody else available to drive. The driver will take you to your destination or return you and any passengers to your starting point. Note that a medical certificatewill be necessary in order to receive this benefit. To discuss your specific requirements, please enter your details in the form at the bottom of this page, and one of our friendly team members will be in touch. In addition to a rescue policy, we can also provide you with motor trade liability insurance, road risk cover, and combined insurance products. Option 1: nationwide recovery: we will take the driver and up to seven passengers, together with the vehicle, at your request, to either where you were originally travelling to or your home address. We will then arrange for the vehicle to be taken to a suitable repairer for it to be repaired at your cost, provided this can be done in one journey. Option 2: overnight accommodation: we will pay the costs for bed and breakfast for one night only. We will pay up to £150 for each person (up to a maximum of £500). Option 3: 24-hour UK hire vehicle: we will pay for a hire vehicle (with an engine of up to 1600cc, for up to 24 hours.) You will be responsible for returning the hire vehicle and collecting your repaired vehicle. You must meet the conditions of the hire-car company to be able to hire a car. Homestart in the UK: If the vehicle breaks down anywhere at or within 1 mile from your home, we will arrange and pay for a breakdown vehicle to come to where you are for up to one hour to try to get the vehicle you are travelling in working again. Homestart in the UK:If the vehicle cannot be made safe to drive at the place you have broken down, we will arrange and pay for the vehicle, the driver and up to seven people to be taken to a suitable local garage (normally within 15 miles), for it to be repaired. You must pay the costs of any repairs. Emergency Driver: In addition to the benefits above, if the driver cannot drive because of an injury or illness acquired during a journey, and there is no one else able or qualified to drive the vehicle, we will provide, and pay for, a driver to finish the journey or return the vehicle and passengers to the place you were originally travelling from. You will need to provide a medical certificate for the driver before we provide this benefit. We also provide a more general motor trade road risks insurance policy, liability insurance policies and combined insurance policies. If you need any advice on which insurance is right for you and your business, please call us for details on the number above. 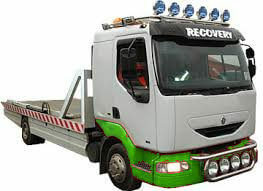 Get a quote for traders breakdown recovery today. Fill out this short form and we will get back to you the next working day with more information and a free quote.